Kapil Sharma, the host and producer of popular TV show Comedy Nights with Kapil, is set to embark on a movie career and he says the show would have to revert to its one-episode-per-week format due to time constraint. After inviting actors like SRK and Salman Khan to his TV show, stand-up comedian Kapil Sharma is all set to make his own debut as an actor with thriller-comedy Bank-Chor. Comedian Kapil Sharma to play lead role in YRF film? 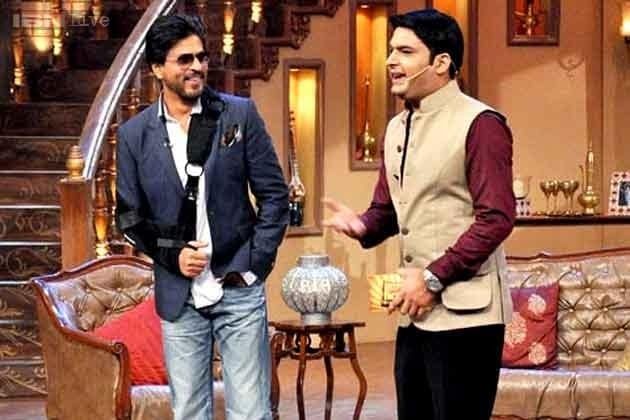 Comedian Kapil Sharma has been approached by Yash Raj Films for playing a lead in a film under the banner. Saif Ali Khan promoted his upcoming film, Bullet Raja on the sets of Comedy Nights With Kapil. The actor arrived in a plain kurta pajama and won the hearts of the fans with his banter and guitar playing skills. Here are some images. He tries very hard to be heartbroken in I, Me Aur Main. Except, that’s tough when you’re John Abraham, and only have an adorable half-smile and a beautiful derrière in your entire repertoire.